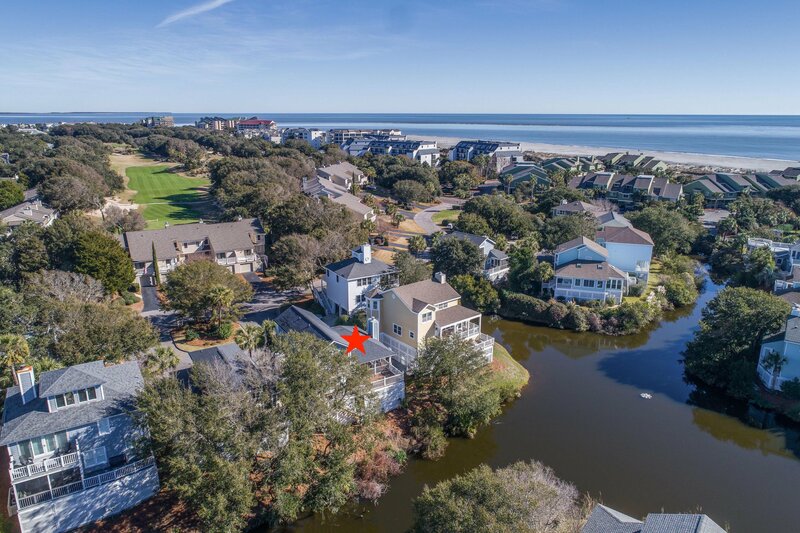 PRICE IMPROVEMENT on this ''must-see'' home in the highly sought-after Pelican Bay neighborhood of Wild Dunes. 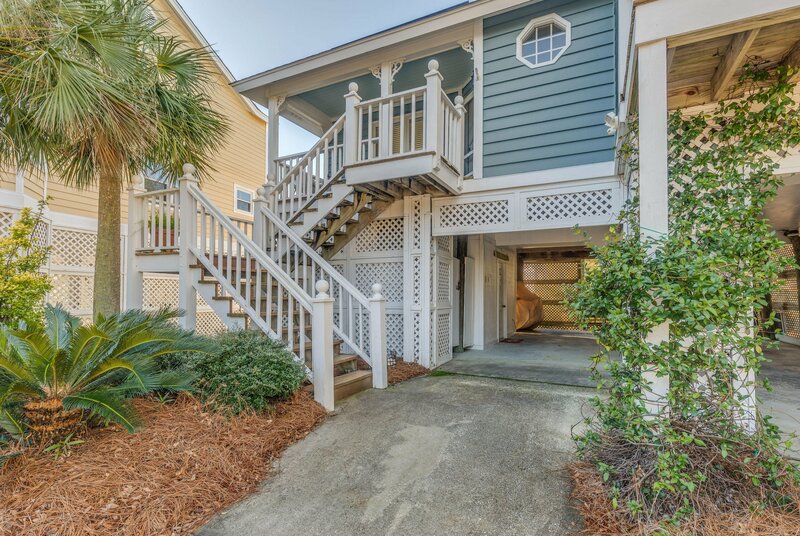 Just a short walk from the beach! 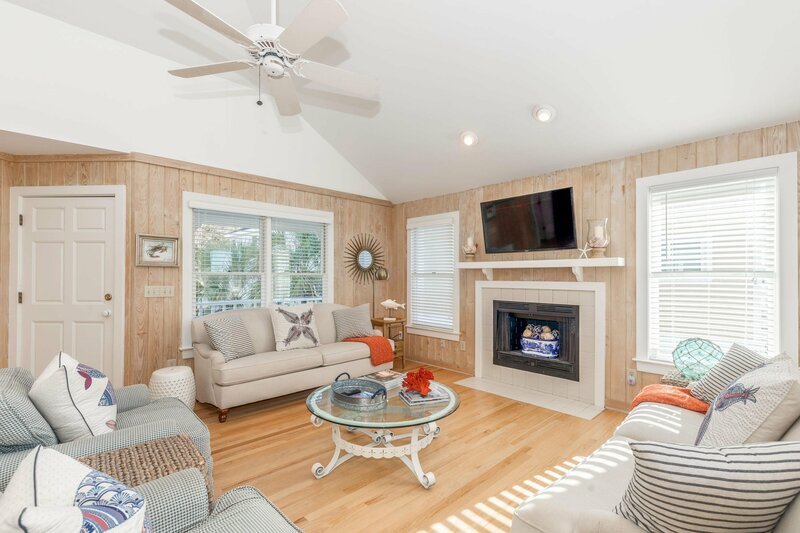 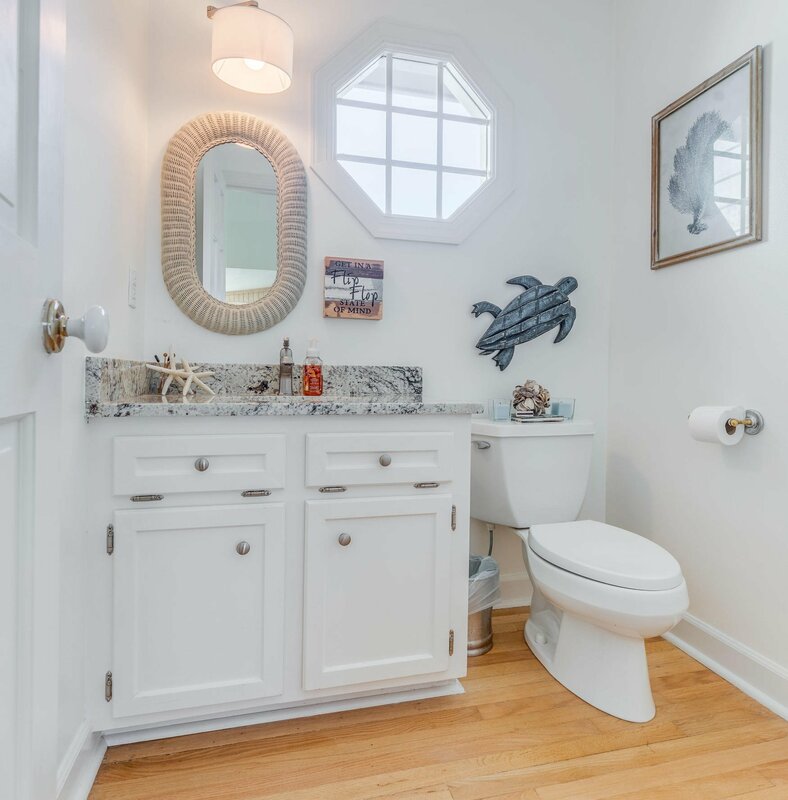 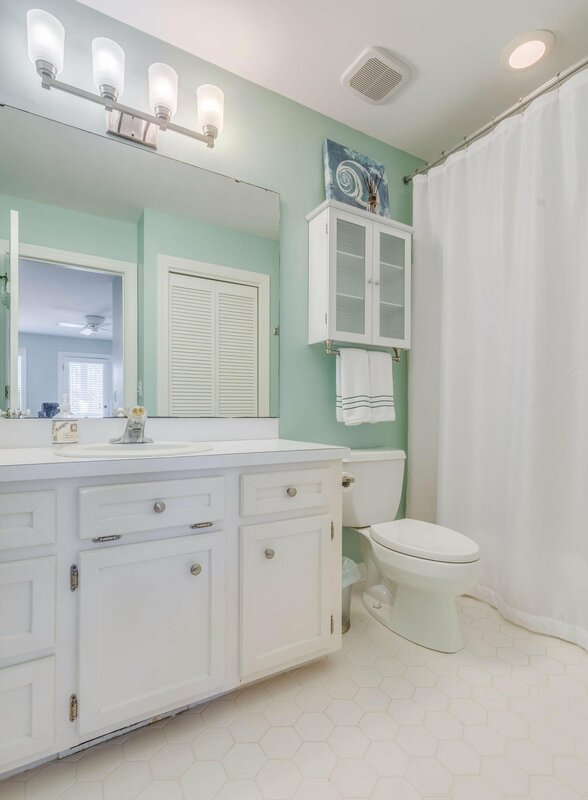 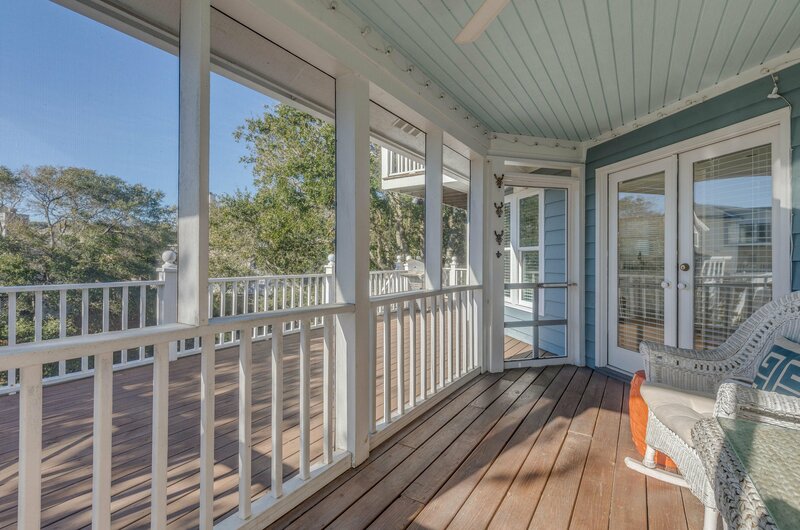 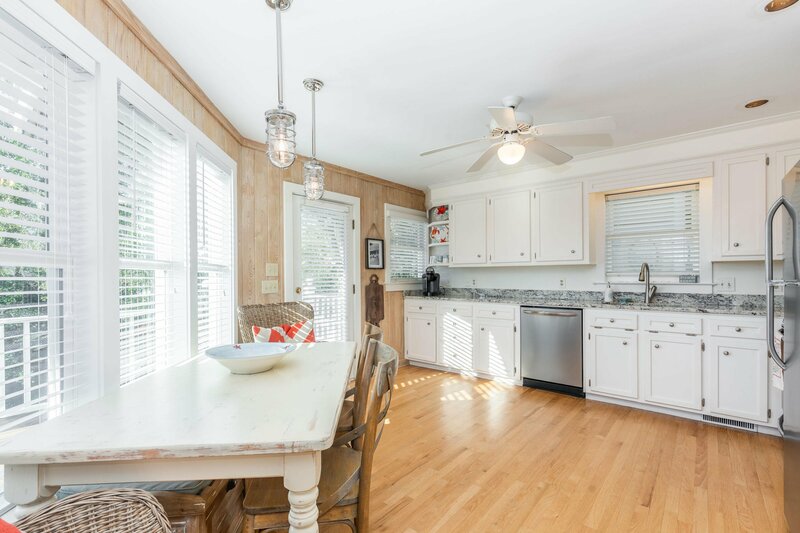 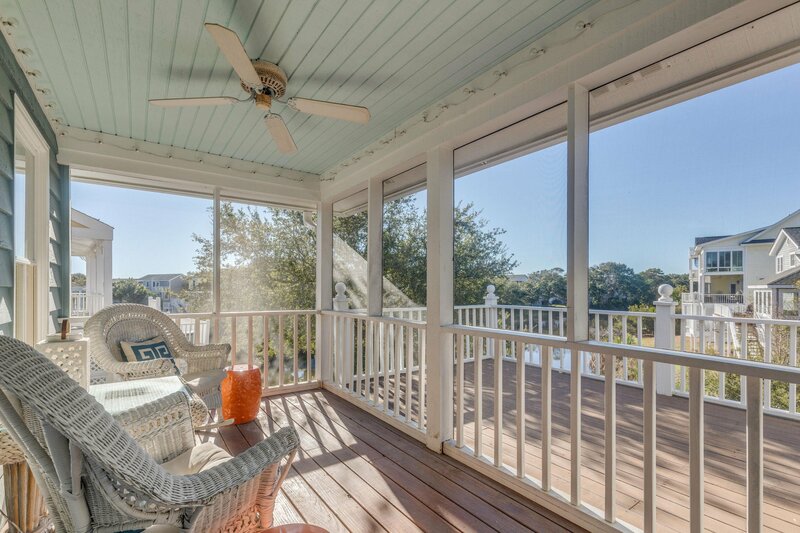 This adorable cottage-style house is located on a quiet cul-de-sac with gorgeous water views. 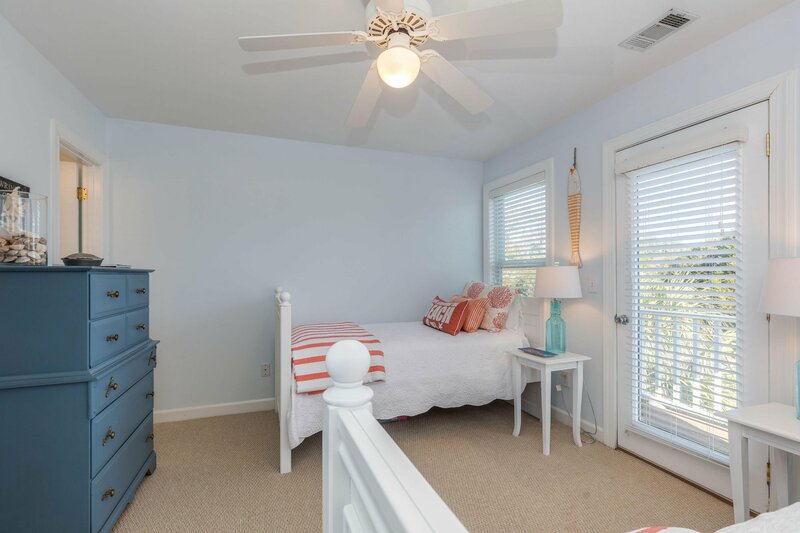 The home is being offered fully furnished with a few exclusions for personal items. 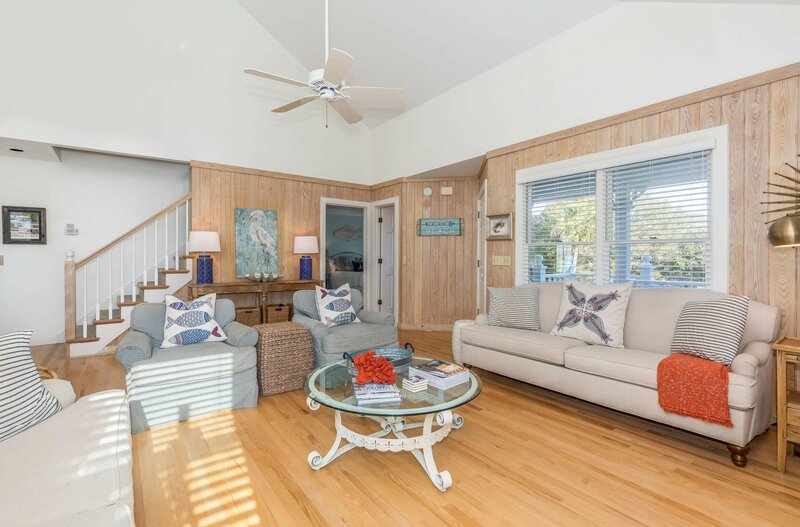 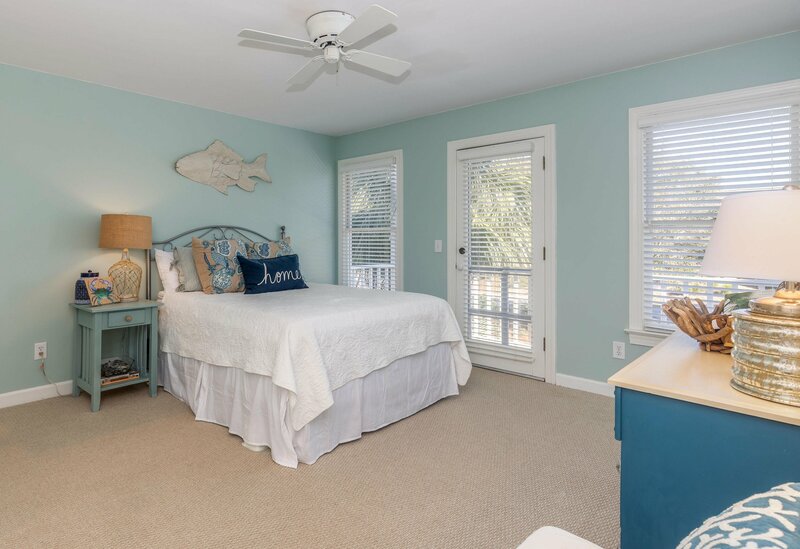 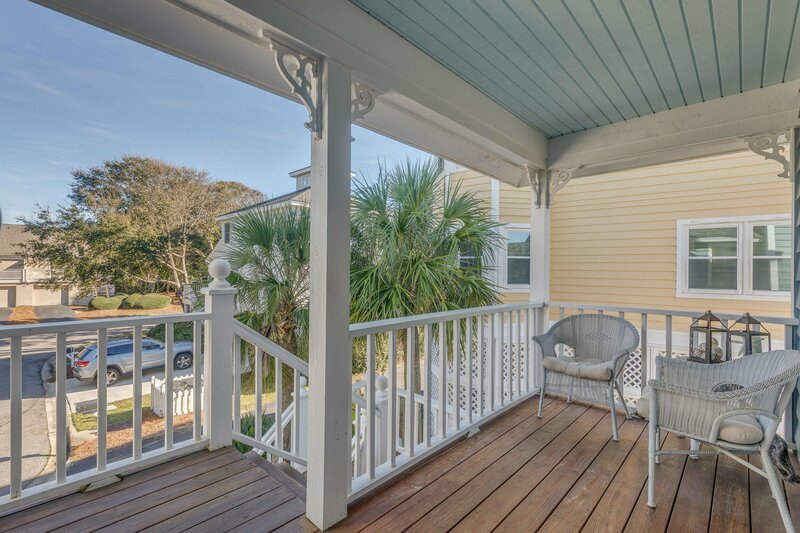 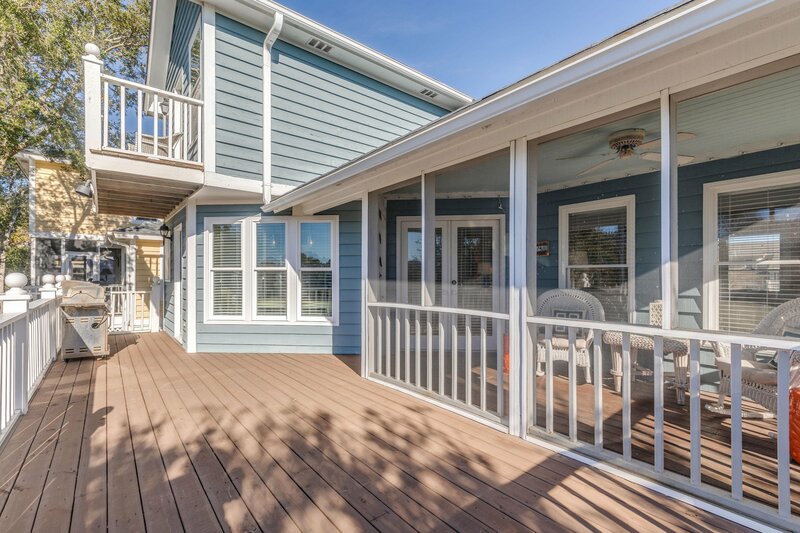 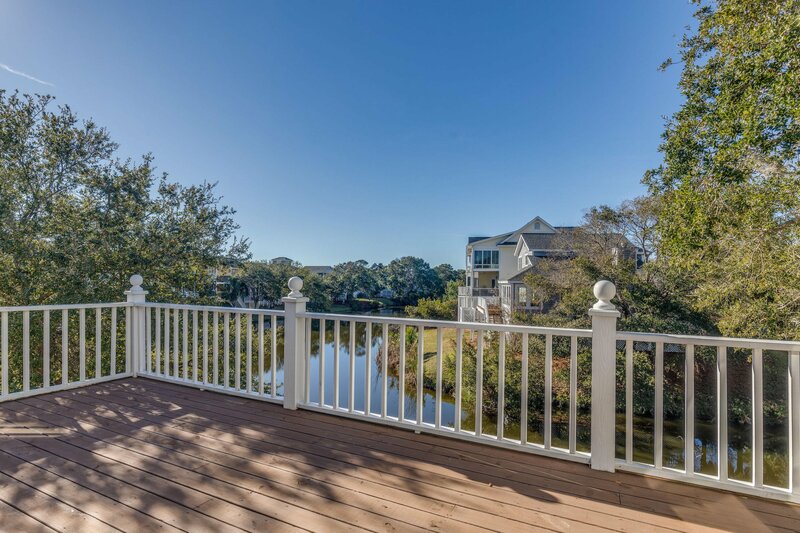 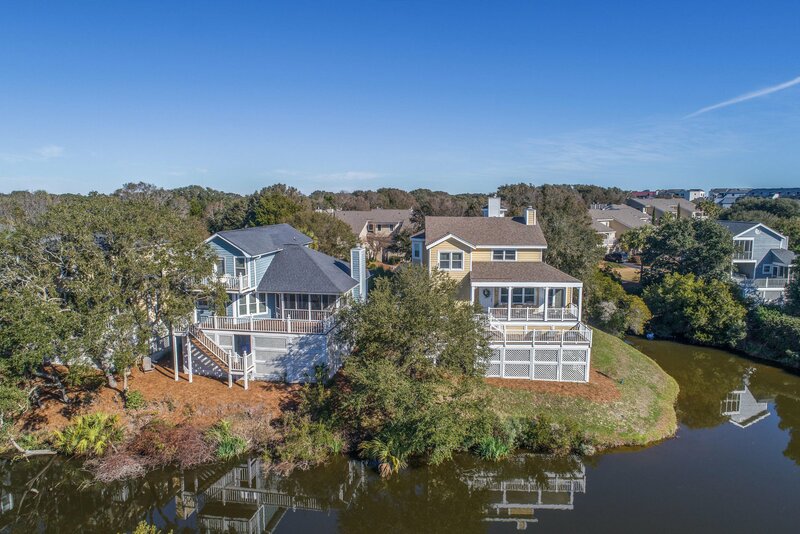 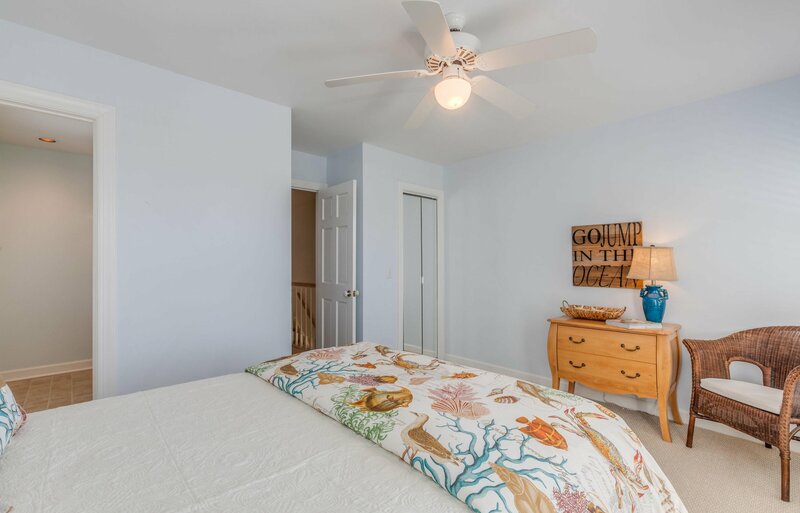 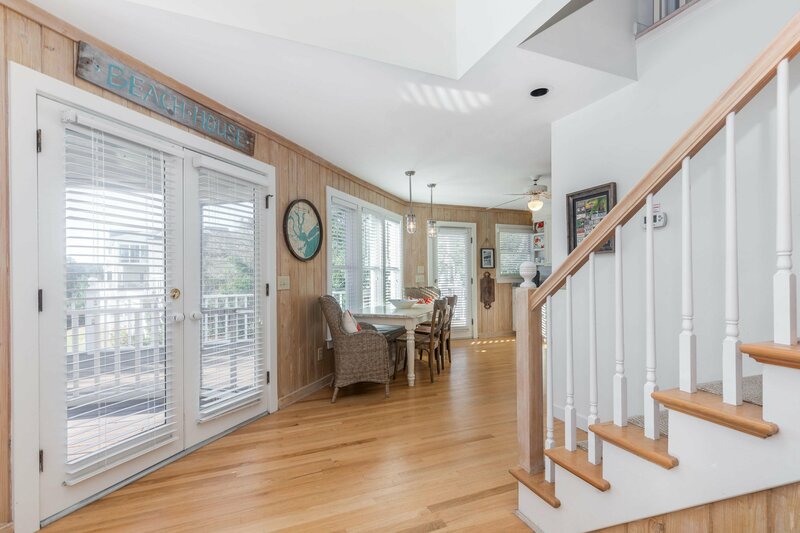 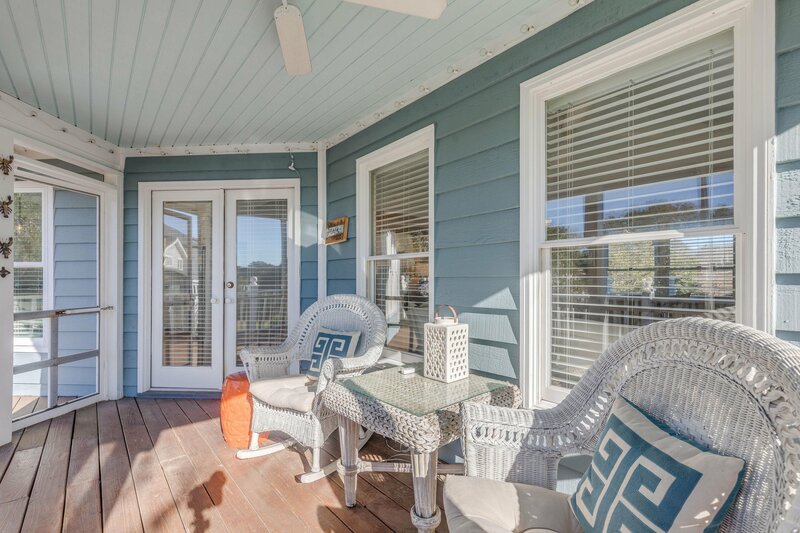 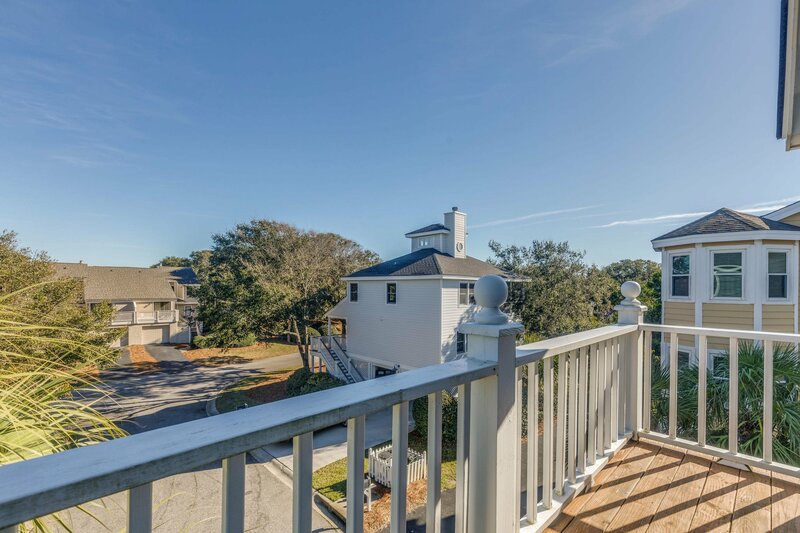 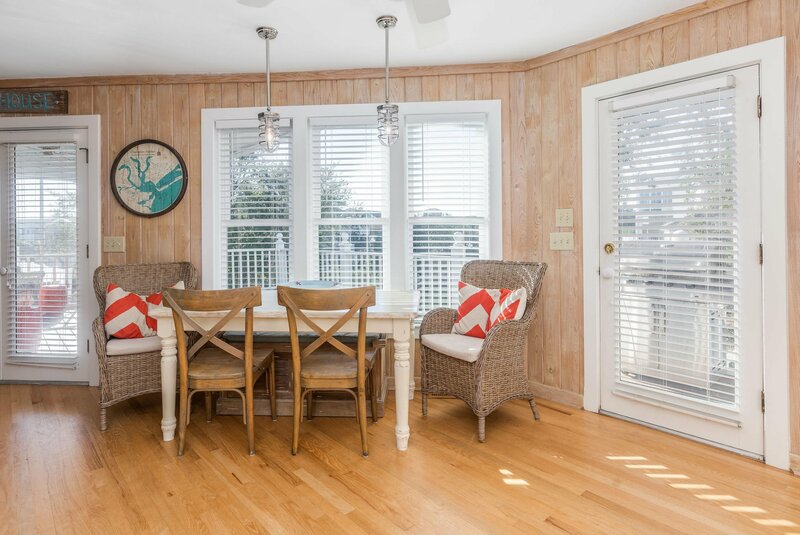 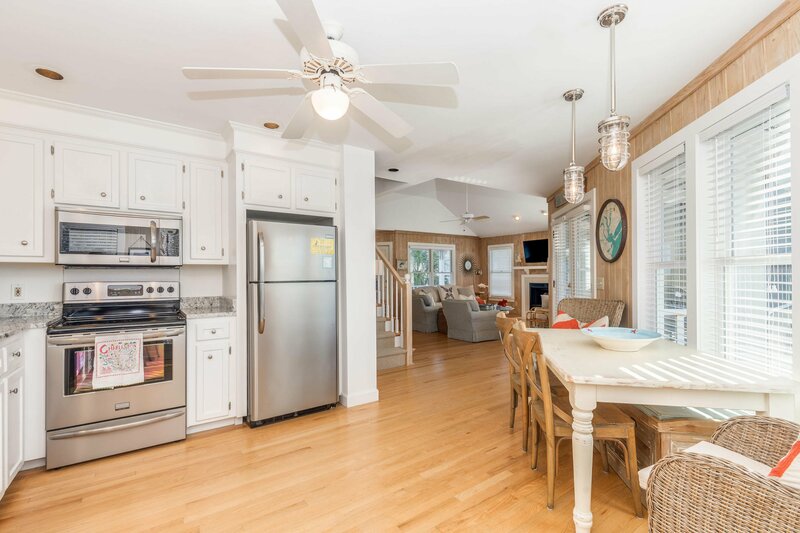 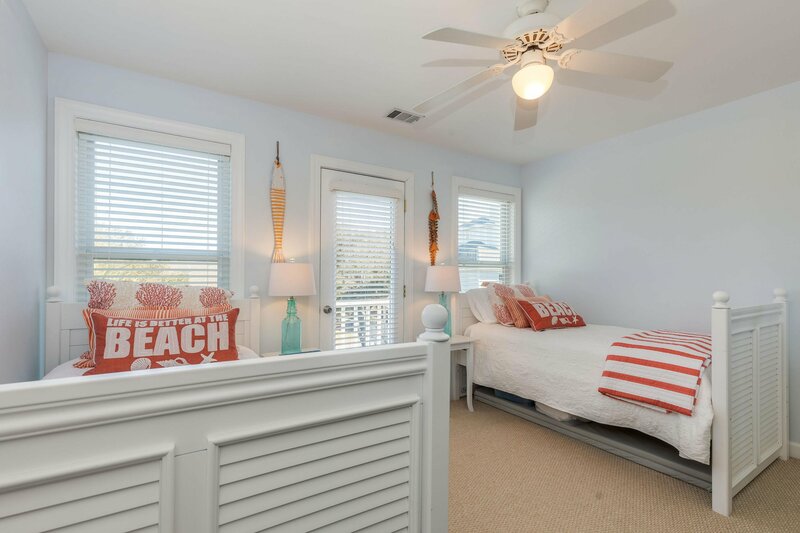 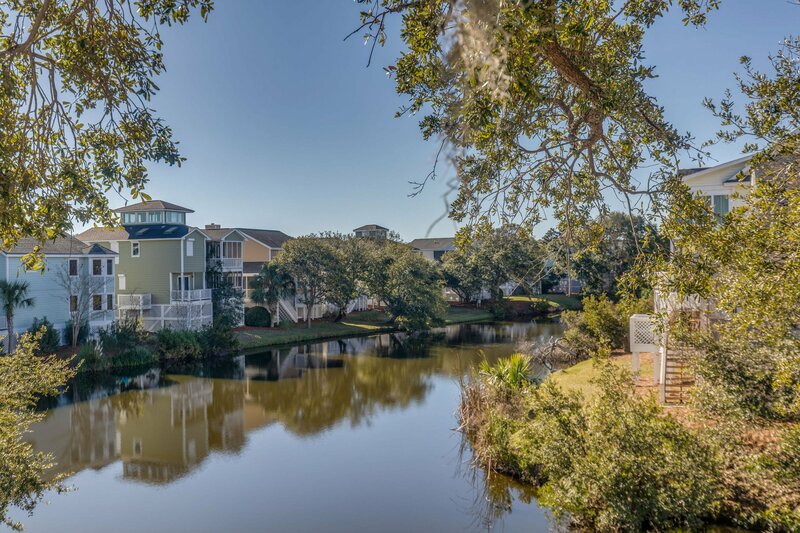 There are amazing outdoor living spaces including a spacious front porch, a screened porch, a huge deck overlooking the water and a balcony off of each of the three bedrooms. 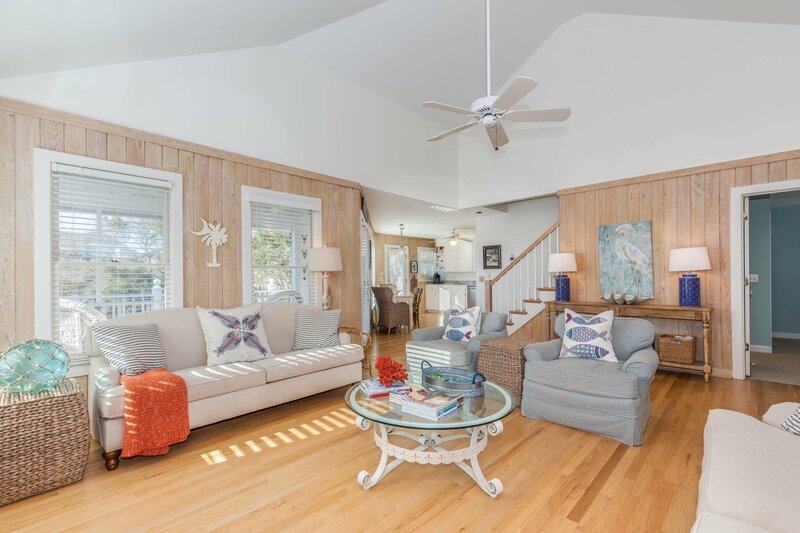 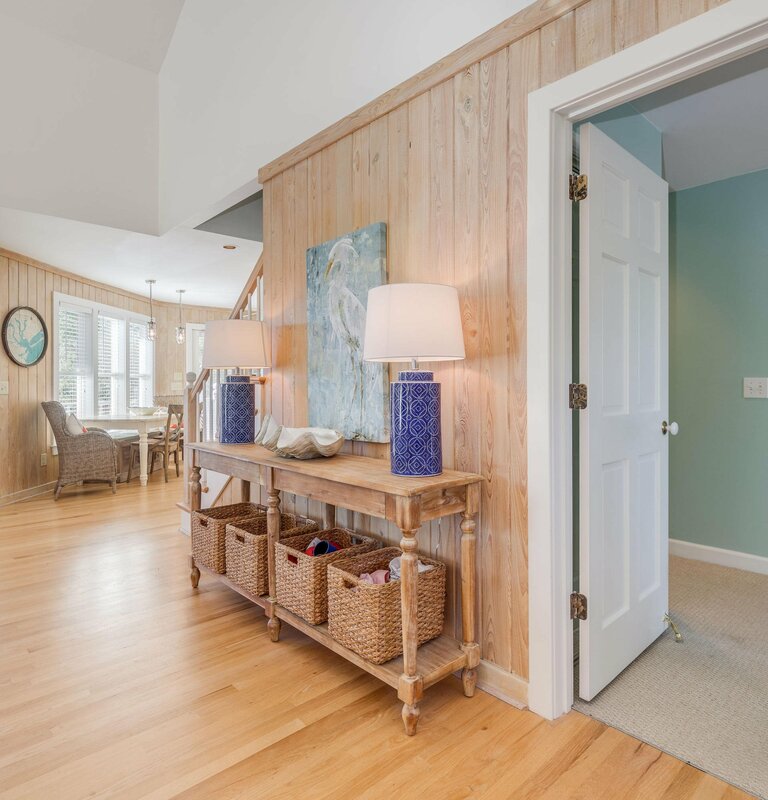 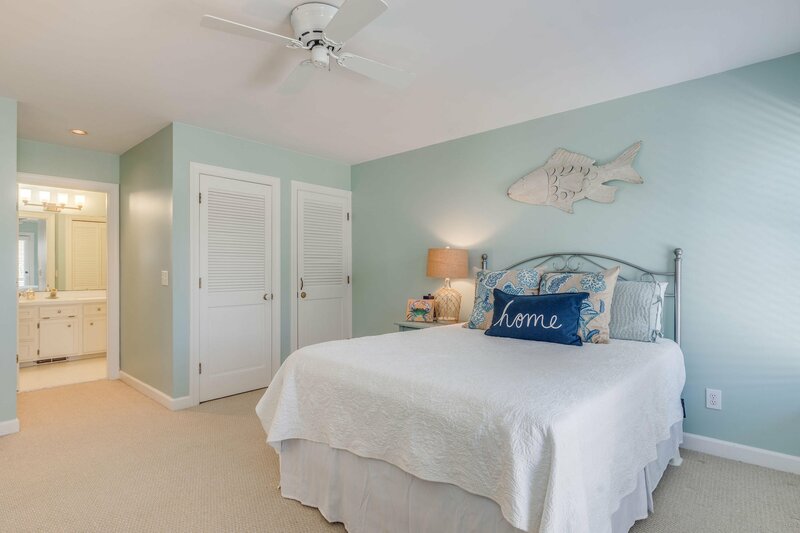 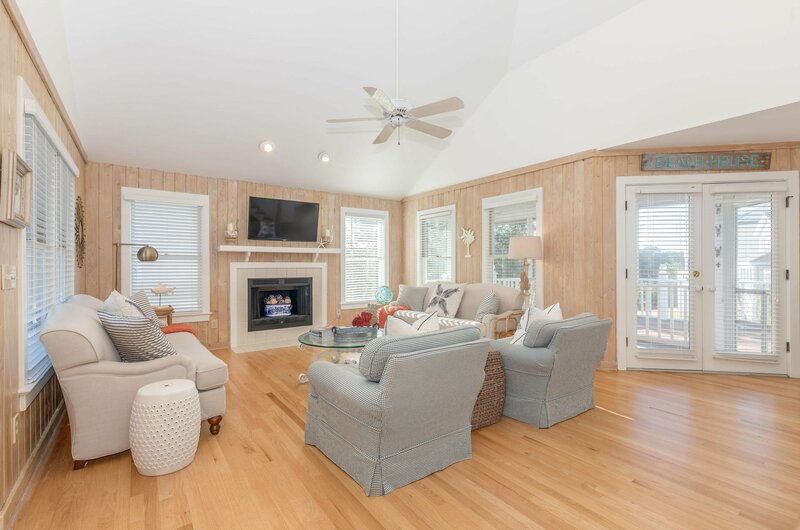 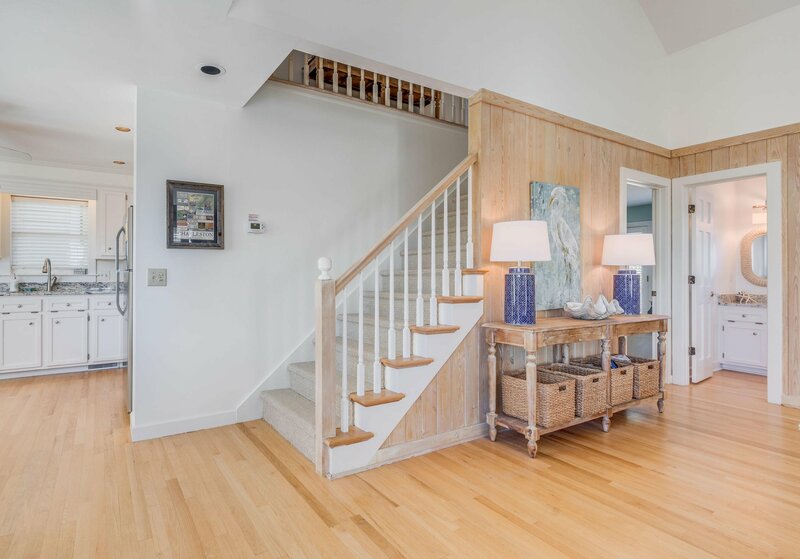 The first floor features an open airy floor plan with wood flooring, a vaulted ceiling and fireplace in the family room, an updated kitchen, a dining area overlooking the lagoon, a half bath and a large master suite with multiple closets, an ensuite bath and a private balcony. 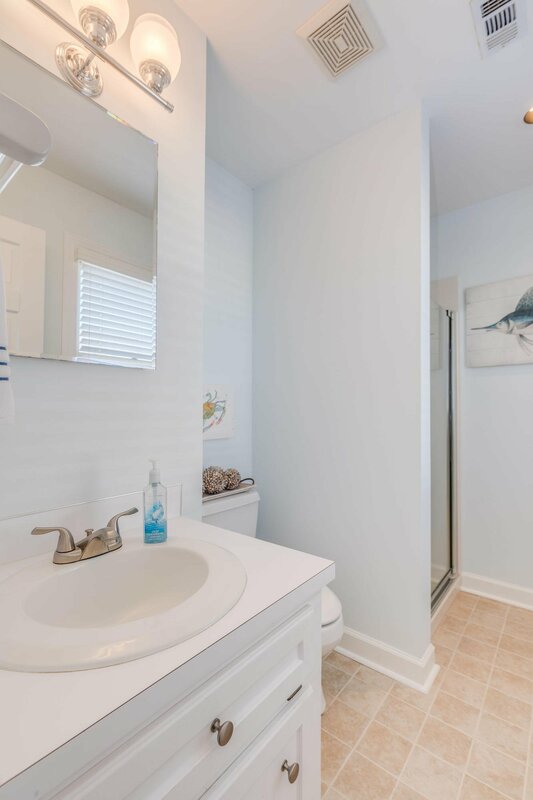 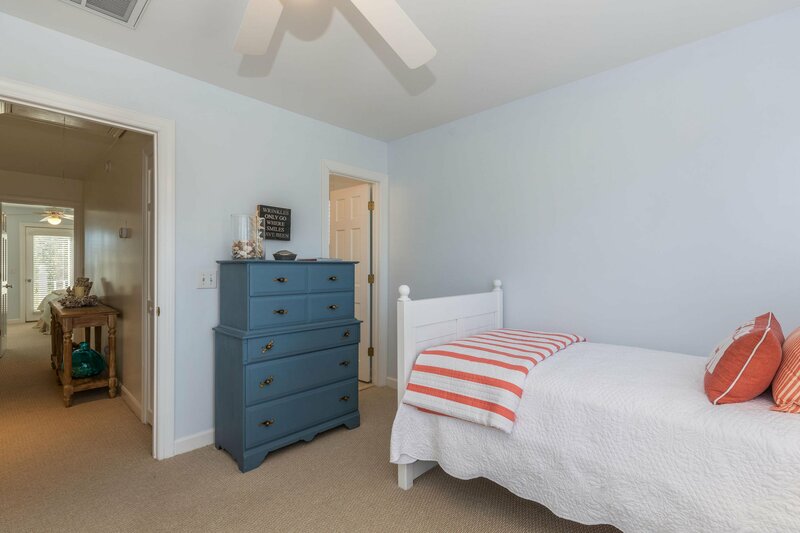 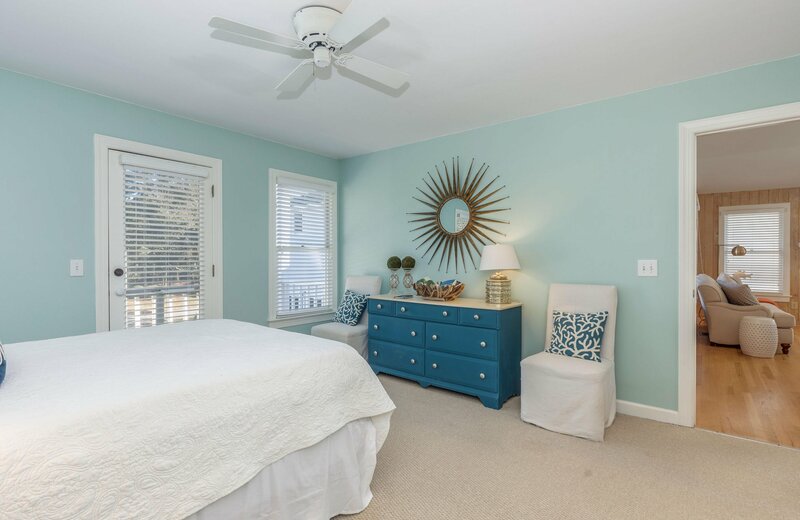 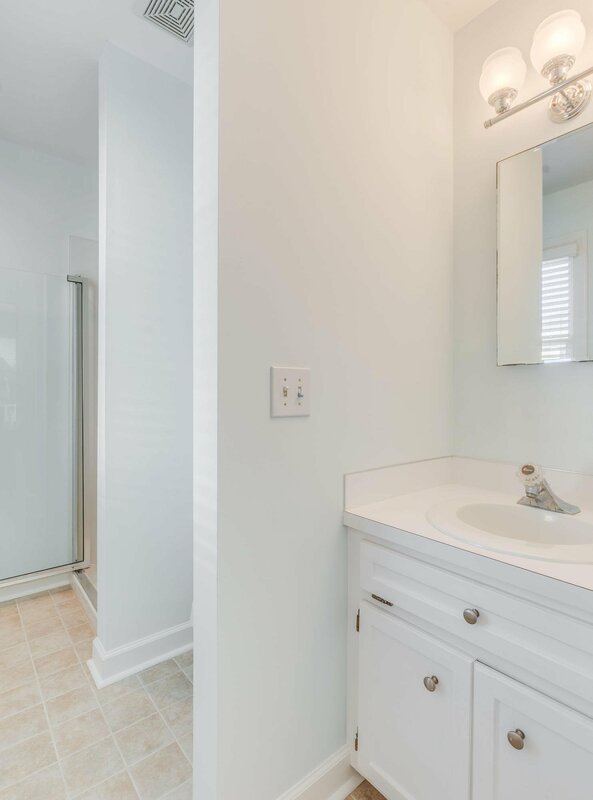 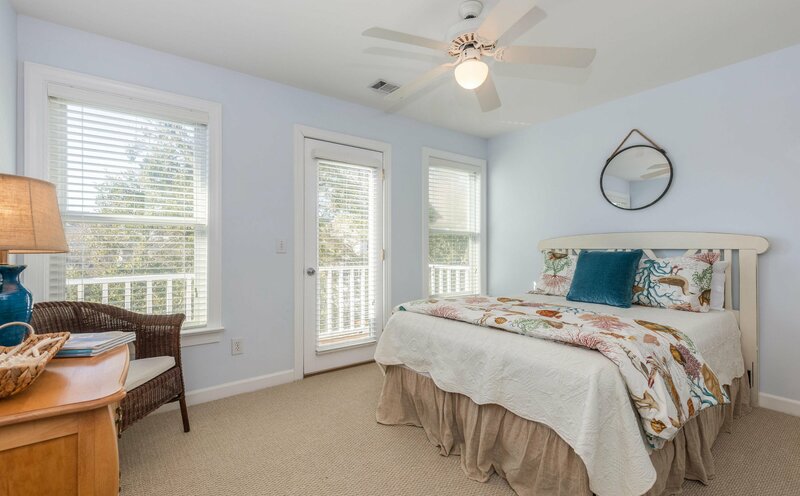 Upstairs you have 2 additional bedrooms each with private baths and balconies. 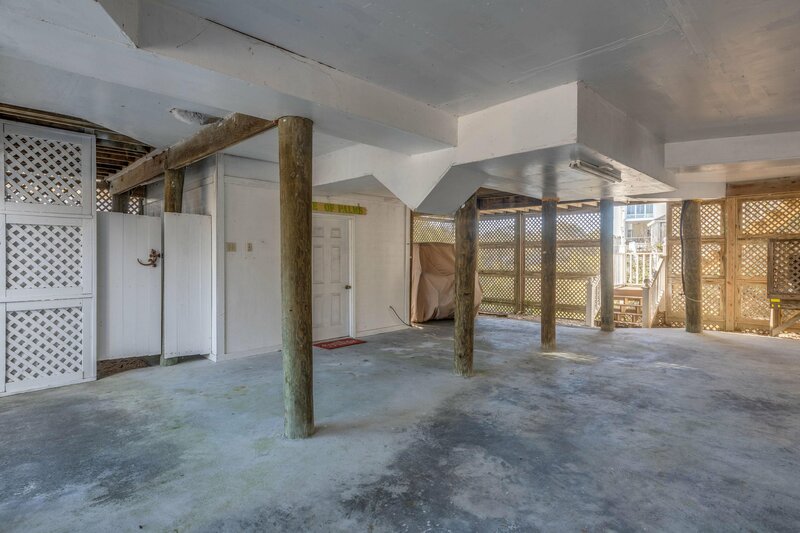 The garage area includes an outdoor shower, a storage shed, and plenty of parking for at least 3 cars. 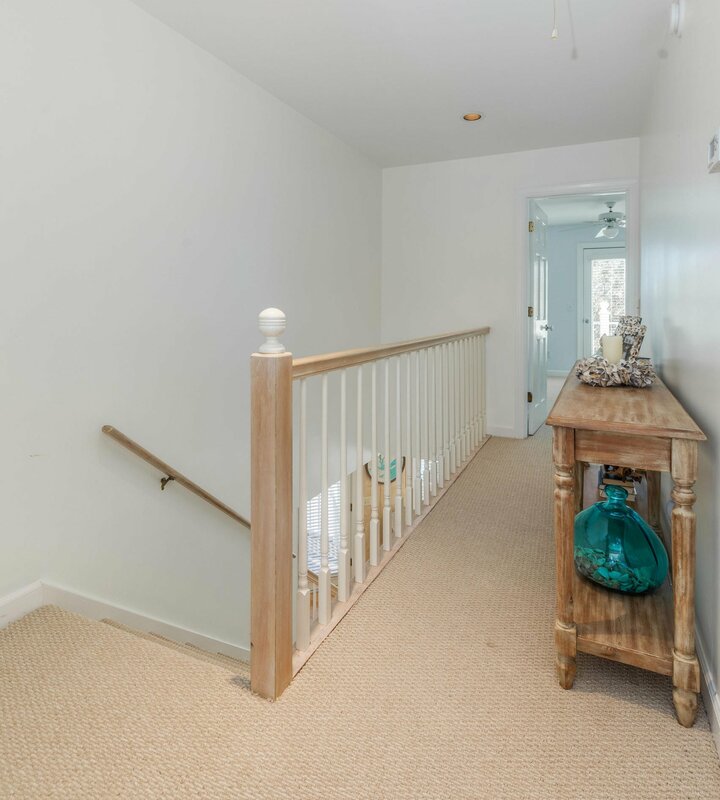 There is also a second staircase on the rear of the home that leads to the deck and kitchen entrance. 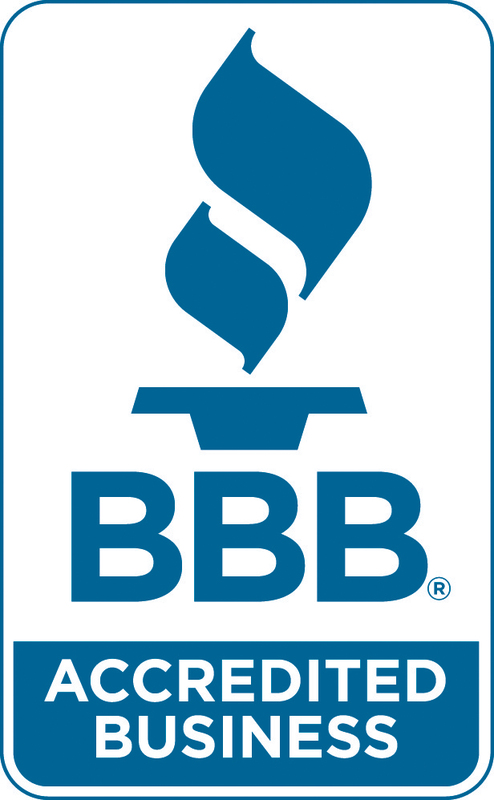 The $200 monthly regime fee covers the community pool, common area and lawn maintenance, and monthly pest control service. 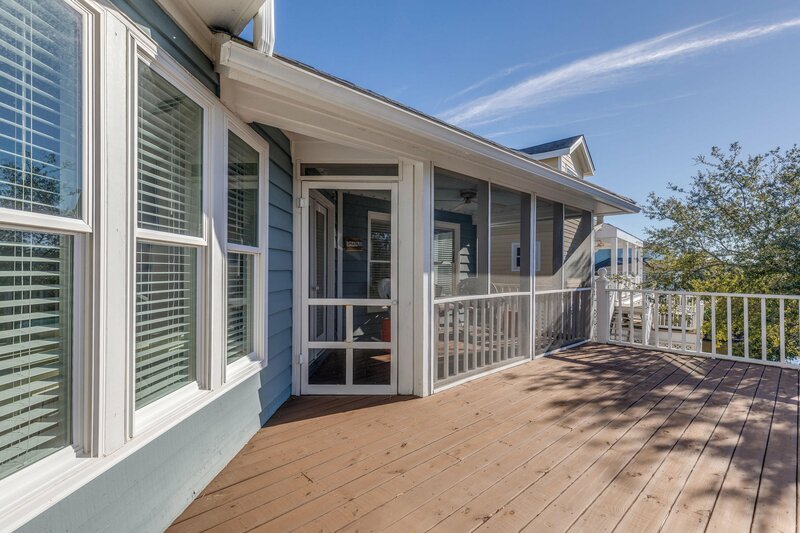 This turnkey home would make a great primary residence, vacation home or rental property. 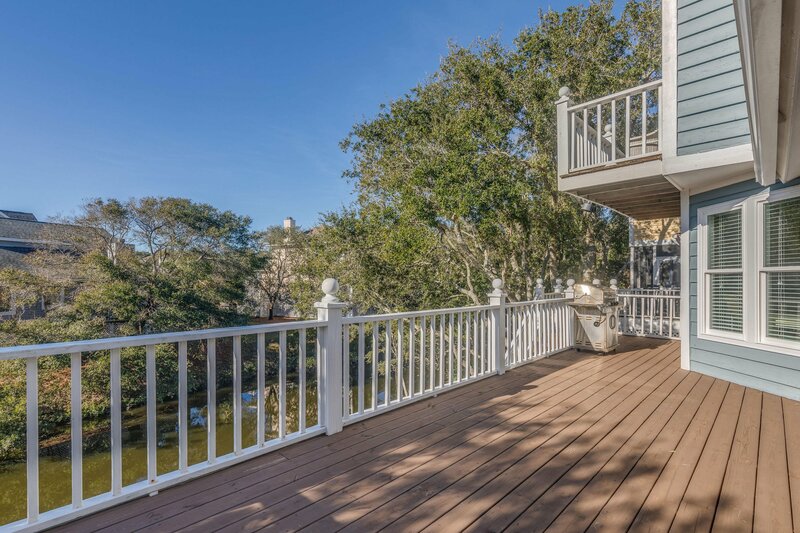 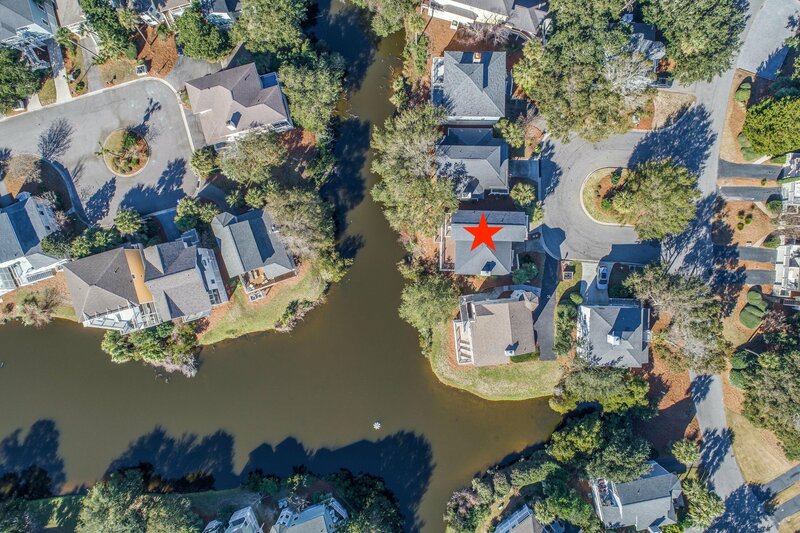 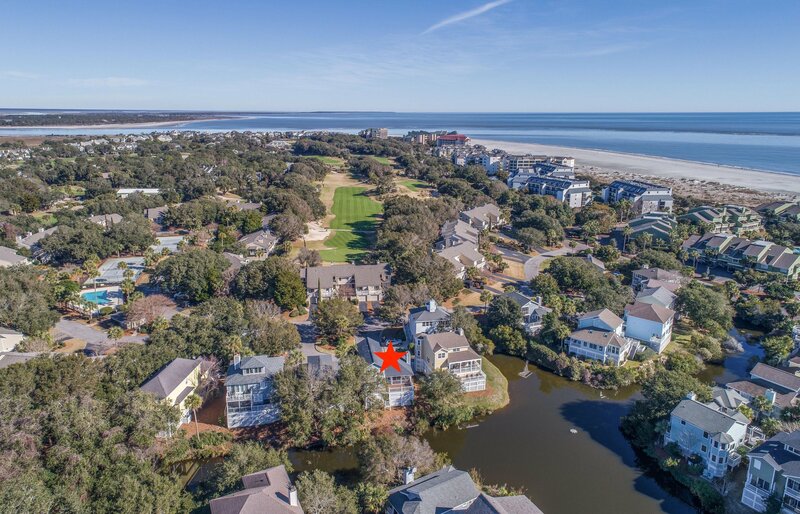 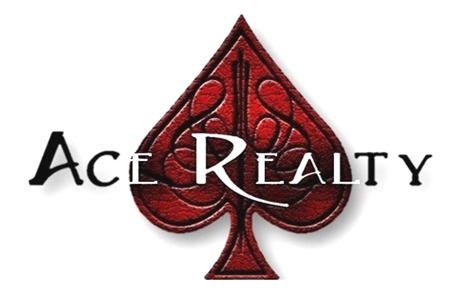 Listing courtesy of Iop Residential Real Estate.